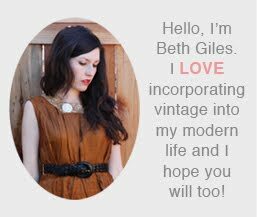 Vintage Clothing Blog | Vintage Wedding Dresses | Salvage Life: How Long Should A Pair of $89 Last? How Long Should A Pair of $89 Last? Last February, Jeff and I went to Portland and I needed some flat, comfortable boots to do some walking in. I went to my local mall and looked and after looking at several stores I found a great, fairly affordable (around $89) pair at Aldo. The sales person was helpful and kind and even offered to stretch them for me for free to make them slightly looser and a little more worn in. I ended up getting a blister, so I wore some black ones I had for most of the Portland trip, but after a little more wear, we became besties. Summer came quick and the my brown leather friends were replaced by gladiators and rainbows. When cooler temperatures returned in October, I started wearing my fave boots again, but one fateful day (it's fun to be dramatic), less than two months later, I started to feel more of the ground then I want to when I'm not walking barefoot. When I looked at the bottom of the boot I saw that the sole had worn through and left a few wrinkled layers of soft, cardboardy material. I hadn't paid much attention to it before, but what the heck was the sole made of? 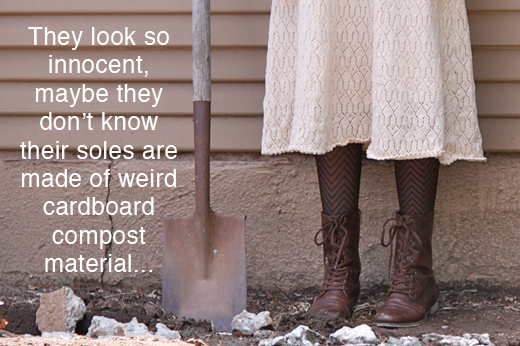 planning on doing any digging in this outfit, haha. 1. How much wear should I expect to get out of a pair of $89 boots? I approximated that I wore them less than 75 times, that's $1.19 a wear. 2. What do I do now, should I write a letter to Aldo, take them back to the store and complain, buy a new pair of boots or have the soles replaced? I checked into getting them resoled and it would be $38, the question in that case is, will the rest of the boot hold up if the soles were clearly poorly made? I'm really curious what you think because this isn't the first time that I have encountered this problem. I usually try to go middle of the road on price (avoiding Target's 29.99 and Nordstrom's $300+ options) and end up being disappointed by quality. If I had bought them at Target, I would have thrown them away a few weeks ago and never looked back and if I had bought them at Nordstrom, I'm guessing this wouldn't have happened, but am I able and/or prepared to spend $300 on boots? If I could gaurentee that I would wear them at least 300 times, then yes, maybe. I once bought a $300 pair of boots. Probably one of the best shoe purchases I ever made in my life. They were waterproof suede, lightly lined with fur and could be worn with pants or skirts/dresses. They were pretty much the only shoes I wore from October to March. I think I had them for 2 years before I resoled them. They lasted one more year beyond that, the resole job wasn't very good and was pretty expensive imo. I opted not to resole them this year because they no longer looked nice enough to wear to work (once the sole went out, I sort of stopped taking care of them... they probably could have lasted longer). I've never had another pair of shoes last that long. I'm still searching for the perfect replacement. Frye's are expensive.. but I hear they last forever. My $89 pairs of shoes don't go much beyond one, maybe two seasons. this post is terribly cute, i mean, i know you have a real issue here, but you are so damn cute about it. 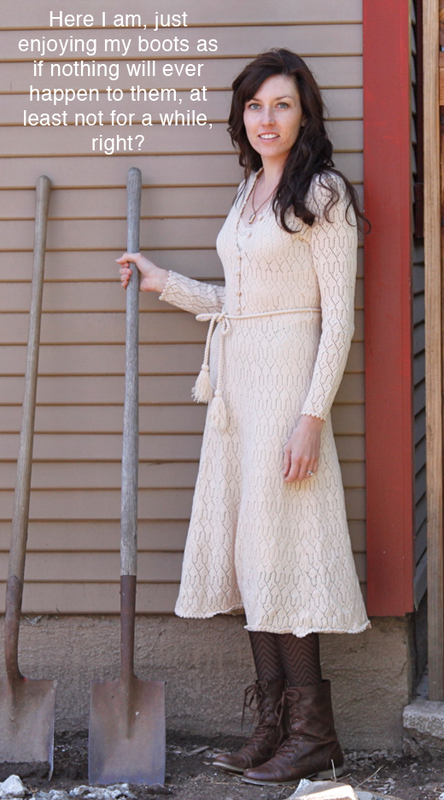 and also, i know this about boots, but i was way sidetracked by the super duper cream crochet dress you have on. damn you! anyway, aldo isn't much better than target, like maybe 15% better? personally, i shell out the $ when it comes to boots and nice shoes because there IS a difference between a $200 pair of boots and a $80 pair...sadly i have not made you feel any better have i? crap! The boots i wear the most i bought at Target, and i have been wearing them faithfully for 3-4 years. Not sure if price always reflects quality. If you love them, and are going to wear them at least 30-40 more times, you should have them resoled. If they make you happy you will regret trashing them. Nordstrom has boots at all price points including $89 dollars, and their return policy is so good that if they did fall apart after such a few wears they would happily return or exchange them. These Steve Madden shoes look like they would replace your old ones perfectly. Good luck with whatever you choose to do! If you love them and don't want to give them up, spend the $25 or so on taking them to a cobbler. It's breathed new life into so many pairs of my favorite boots and flats. If the leather body of the shoe is in good condition or is decent leather, it's totally worth it. I've had pairs for years that I've resoled 3, 4 times, and as long as I polished and conditioned the rest of the shoe, they were great. In my opinion, that's why you spend a little extra- not because the $300 shoe sole last longer, but because the higher quality leather in the rest of the shoe will last even if the bottom wears out. Good luck! ah, well. i'm a shoe snob. i used to work for a large shoe retailer in the 90s. when i started, many of the styles still had leather soles, leather uppers (outside AND in), and had more stitching than glue. even in the few years i worked for the chain, the quality declined. and now, i don't even consider the brand, because there is more plastic, vinyl and glue than shoe. you need to spend the money to get good shoes. good quality will cost you, especially for boots. but as Karen said, she's been wearing her JCrew boots for a few seasons. 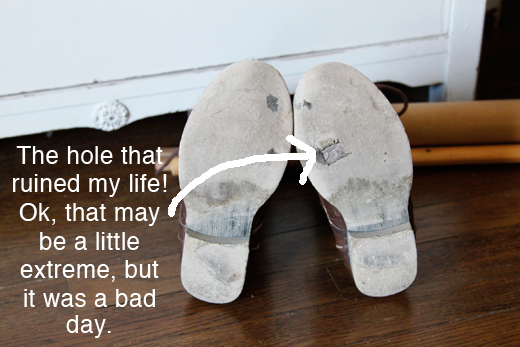 take a good pair of shoes to a cobbler, and they'll tell you it's worth it to resole them. other brands i trust are Cole Haan, Coach, and Stuart Weitzman. but don't pay full retain unless you absolutely have to! shop Nordstrom Rack, DSW, TJMaxx etc. so find a pair of good quality boots you like that are like the pair you wore out. don't waste your money resoling the Aldos!